If you’re a newbie to facial injections or want to brush up on your Botox smarts, we’re breaking down five of the most commonly asked questions about this anti-aging phenomenon. 1. When is it time to get Botox? What visible signs should I lookout for? As an overarching recommendation, adding injectables to your anti-aging arsenal is a completely personal decision. Many women start getting Botox between the ages of 25 to 35 when they notice deeper expression lines around the eyes and forehead. The only thing to consider when it comes to timing is that once wrinkles are deep, Botox can help soften them, but may not eliminate them completely. 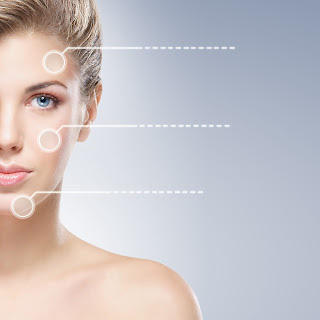 Whatever you choose, Botox will erase or fade lines and make a noticeable improvement at any age. 2. How long does Botoxlast? Treatments last about three months. Once you have your initial session and continue to receive injections on a regular basis, you may start to not need as many units and transition to more of a “maintenance” plan to keep lines in check. 3. What does Botox feel like? Will my face feel numb after I get it? There’s no way around it, there’s a needle involved. On the bright side, the needles we use are small and thin, so patients say they feel a subtle prick, nothing super painful and much less impact than a regular shot. You shouldn’t feel any numbness or irritation. 4. How long does an actual Botox session take? Is there anything I should do prior to or after getting Botox? Botox is a super simple treatment. You lay back in a chair and the injection specialist will ask you what areas of your face bother you and what you would like treated. They will also give you recommendations to achieve your ideal look so there’s no guesswork involved. After a few strategically-placed injections you will be ready to go in 20 to 30 minutes max. Depending on your body, some patients notice slight bruising post-treatment. To help prevent bruising, stay away from pain medication prior to your treatment. Also avoid drinking for a few days before you get Botox. Aftercare is easy. Don’t lie down for four hours after the treatment and avoid rubbing or touching the area. That also means that for the first few hours, hats and headbands are a no-no. Avoid exercise the day you receive the treatment (about 12 hours on the safe side) and stay away from saunas, steam rooms or any other place or activity that can raise your body temperature. Some patients see results in as little as 72 hours, but wait a week for full results. 5. Do I need to use a specific skincare line or products after a treatment? We recommend using medical-grade skincare products to your skin healthy and protected. Our team can help you choose a regimen fro our wide variety of product lines. but generally, a high-quality face cleanser, serum infused with Hyaluronic acid, hydrating night cream and and a SPF-packed moisturizer for daytime is recommended. Living in the dry AZ desert, keeping skin hydrated and plump is key to getting the most out of Botox. For more information and any other questions you have, we are here to help! To schedule a consultation or chat with one of our injection specialists, call (480) 767-1900!